Content is the fuel of your social media engine, without it your engagement and reach can come to a screeching halt. Like an engine, your content also needs the right kind of fuel to operate at its full capability. Some social media managers create massive amounts of content without creating the right kind of content to drive engagement. For example, if you spend too much time talking to people about dry business topics, you’ll fail to connect and you’re less likely to get warm leads. So how do you create content that gets maximum engagement? It all comes down to a mix of 4 kinds of content: industry news, employer branding, employee generated content and multimedia. In this post, we’ll explore each kind of content in more depth to help you master the perfect content mix. Industry news helps employees stay up-to-date and allows your organization to showcase thought leadership. By showing you’re on top of industry news, you create a brand that’s credible, knowledgeable and engaged within your industry. The downside of this kind of content is that depending on the industry it can be as fun as reading a scientific journal. 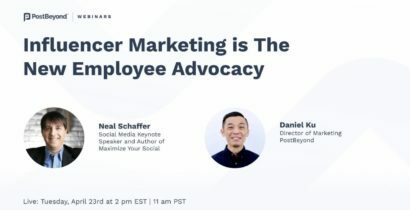 If this is the only type of content in your employee advocacy platform, employees will eventually tire and stop logging in and sharing content. Although this form of content is what “feels” business-like and authoritative, remember the social medium you’re on. People also want to relate to their peers on social media. Industry news resonates the most through networks like LinkedIn because of the professional bent. As you’re curating content for your employees, ensure industry news is a staple within your content mix. When you consider hiring an employee, you check them out online. 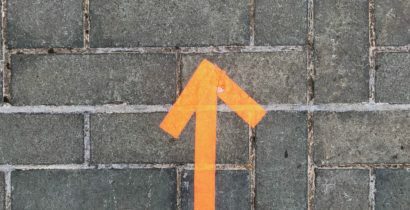 When top talent is considering a new position they’ll also do their due diligence with online and social media research. 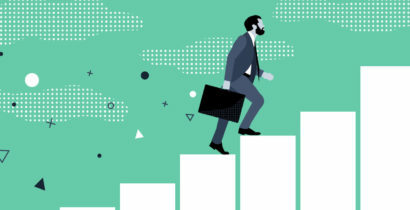 By taking control of your employer branding, you’ll give potential candidates an inside look into your company culture which improves your recruiting efforts. Employer branding also helps create a stronger sense of culture and connects existing employees in different departments (or even countries) who may not normally interact with each other. Creating those bonds through social media sharing helps create more engaged employees who are happier with their workplace and coworkers. Having employees be at the forefront of your employer branding content not only helps amplify the message it also humanizes your brand and adds credibility. By having all of your fun and engaging employer branding content in one place, it makes it easier for employees to get a more holistic view of the company culture as well as simplifies the social sharing process. A strong social media advocacy program can give your employees even more ways to generate content and help build your employer brand. See how BCD Travel 10x their ROI with content on social media. Who wouldn’t love to be able to brag about being reposted by their company for their hard work? Reposting content generated by your employees will make them feel recognized and appreciated, especially Millennials who crave higher levels of feedback in the workplace. Employee generated content (EGC) is great for a lot of other reasons including employee engagement. It encourages employees to get active and engaged in advocacy programs, it lightens the content sourcing load for program admins, and EGC because is more authentic it usually generates more engagement. The importance of authenticity in social media can’t be overstated. People crave authenticity in unprecedented numbers. In a recent survey, 90% of Millennials said “authenticity” was very important to them, the number is slightly lower with Boomers 80% and GenX 85%. But only slightly. The numbers for authenticity are still impressively high. High enough that any brand should take notice. A lot of it comes down to the fact that people want to have a connection with you, that’s especially true on social media. Letting employees generate their own content is an authentic expression in a world of stock photos and half-truths. To take full advantage, be sure to train employees on how to use social media for business and monitor your social media platforms. The amount of reading most people do in their daily lives can become overwhelming between work and emails. Multimedia in the form of videos and visual content gives your audience a mental break from reading. Strong visuals tend to capture attention faster and are more engaging especially when you add interactive elements. Think about it, if given the choice between reading a white paper or viewing an infographic… which would you choose? The infographic will tend to draw more people in. When an interactive element was added to an online video, the interactive ad was proven to be 32% more memorable than the non-interactive ad and drove 9x higher impact on purchaser’s intent. Be sure to add interactive elements like forms, videos or quizzes to your content mix to reach an even higher level of engagement and make your content more memorable. With the right content mix of industry news, employer branding, employee generated content, and multimedia, you can unlock maximum social media engagement to grow your business. Add some variety to your social media content to spice things up today! For even more great insights about why building a culture of content is key to successful marketing, watch this video.